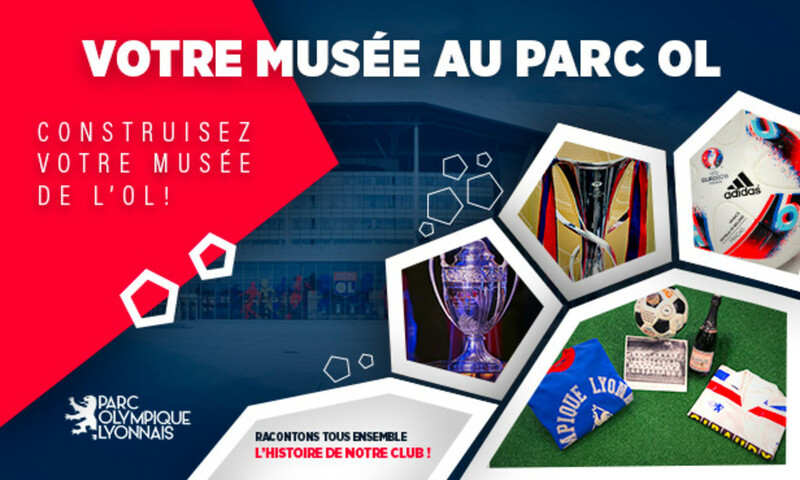 Together with its supporters, the club intends to enrich the Olympique Lyonnais museum collection, which has over 67 years of heritage. From the Bellecour cafe at the Parc OL; to the Stade des Iris et Gerland; join the wonderful journey through Olympique Lyonnais' past! For a little more than a year, Olympique Lyonnais has been in their new stadium, the Parc OL in Décines. During the move, we were able to assemble a collection of items and information that make up the history of OL. Olympique Lyonnais hopes to involve all of their supporters in this wonderful experience. Let’s all share the experience of the men (since 1950) and women (since 2004) who have made, and who will continue to make, OL’s history. Would you like to be involved in this wonderful experience through time? Photograph your items, tell us about their history and become one of the founding members of this future exposition. Contact the museum curator, Stéphane Benas on email: musee@ol.fr or call 04 81 07 49 70. Let's all tell the hisotry of our OL together.